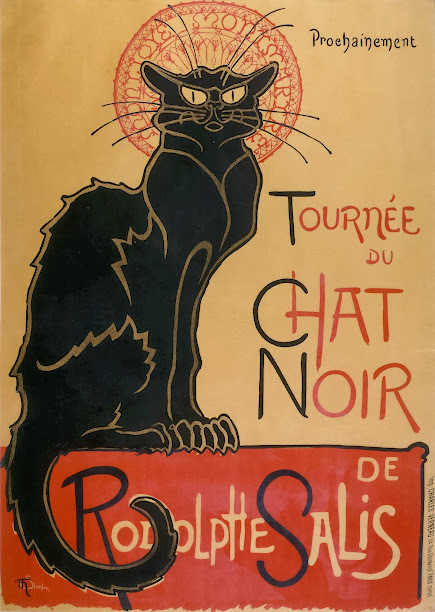 And yes, Le Chat Noir — French for The Black Cat — was a famous cabaret, founded by Rodolphe Salis in 1881 in the Montmartre area in Paris, but what makes it so special? 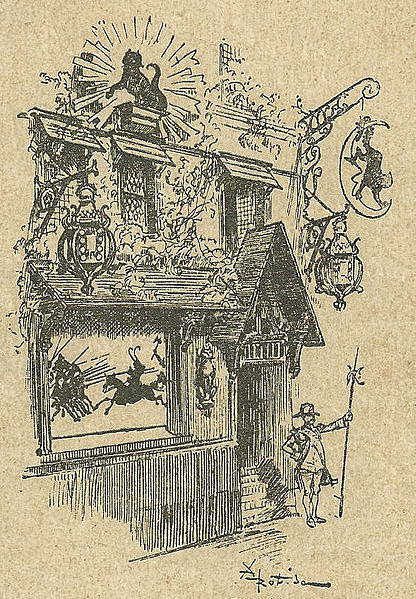 To be precise, Le Chat Noir actually refers to a cabaret, a troop of entertainers, and an arts journal, all created by Salis. At the cabaret, any artist could perform on stage, and the audience gave immediate feedback in the form of roaring boos or cheers. 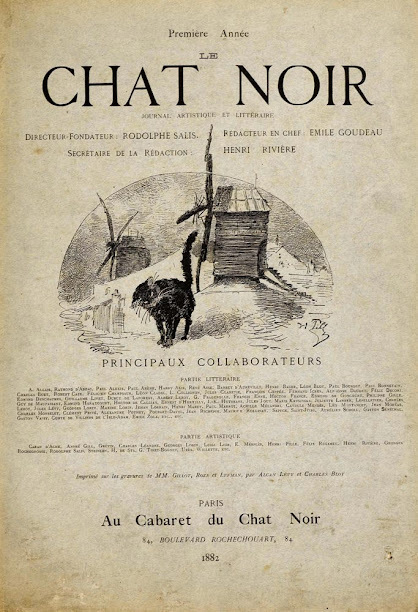 Le Chat Noir attracted poets, actors, singers, musicians and other artists, which, for about fifteen years, contributed to making Montmartre the heart of artistic life in Paris. What makes Le Chat Noir so special is the attitude of everyone associated with it. Call it a spirit of creative rebelliousness. A desire to celebrate the free spirits and upset the established order. A spirit expressed through poems and plays, through songs and performances of all kinds given at the cabaret, a spirit celebrated in paintings, drawings and lithographs, by artists such as Steinlen. The Chat Noir attitude is loud, fun, rowdy and rude, and it takes no form of power or authority seriously. In fact, it takes nothing seriously, except art and its own rebelliousness. In other words, it is very French, and that’s why the black cat poster has such pride of place in every souvenir shop in Paris. There is one more thing about the Steinlen poster that I have not mentioned yet, one part of the drawing that gives us a great example of the Chat Noir attitude. Can you spot it before the next post?